It’s no secret that the folks at ASUS are quick on the draw when it comes to Android updates. ASUS was one of the first to show us Android 4.0 Ice Cream Sandwich running on a tablet with the Transformer Prime. ASUS has also been the first to update its tablet line to Android 4.0, while other companies are still straggling with their own updates. Asus is very close to Google, so once they have Android 5.0 I think there will be a high possibility that we will be the first wave to offer the Jelly Bean update. Now Google hasn’t officially disclosed the codename for Android 5.0, and this is the first time we hear the Jelly Bean codename from an official mouth, even if not directly from Google. As we’ve covered previously, Google assigns desert-themed codenames to major Android releases in alphabetical order. We’ve had Cupcake, Donut, Eclair, Froyo, Gingerbread, Honeycomb and now Ice Cream Sandwich for Android 4.0. 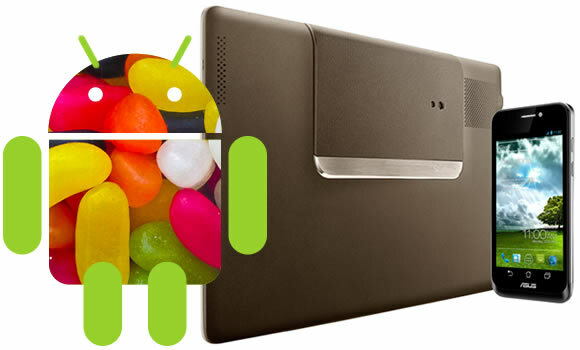 Jelly Bean for Android 5.0 has been in the rumor mill for a while now and we could be seeing its release as early as this fall.